The self-proclaimed “father of nutritional immunology,” Ranjit Kumar Chandra, has lost a libel lawsuit against the Canadian Broadcasting Company (CBC). The suit was in response to a 2006 three-part documentary from the CBC, which examined allegations of fraud against the former Memorial University researcher. They also rejected Dr. Chandra’s claim that the CBC violated his privacy. Chandra’s career began to unravel in 2000 when he submitted a paper to The BMJ that seemed to show that his own patented vitamin supplement could improve memory in healthy elderly patients. The study, which followed up one published in the Lancet in 1992, immediately raised concern among BMJ editors, including the then editor in chief, Richard Smith, partly because the huge amount of psychometric testing involved seemed beyond the capabilities of a single author whose expertise was nutrition. As former BMJ editor Richard Smith, who testified at the recent Toronto trial, notes, BMJ did not publish the study, which eventually appeared in the journal Nutrition in 2001. The study, on vitamins to help the elderly with their memory, was later retracted — but not before garnering coverage in the New York Times. The paper was eventually cited 86 times, according to Thomson Scientific’s Web of Knowledge. The programmes showed that there had long been doubts about the integrity of Chandra and that the Memorial University of Newfoundland had conducted an inquiry into Chandra before The BMJ ever contacted it, and found that Chandra had committed scientific misconduct. Chandra threatened to sue the university, as he threatened many, including The BMJ and me, and the university caved into the threats. In the programme a university spokesperson defended this action, saying: “Universities like ours are publicly funded. I think if Dr Chandra had been working in a different area of science where…let’s say, life and death were involved, if he were claiming a cure for cancer, let’s say, that was fraudulent…it’s possible that the university might have acted differently.” So much for universities being about the pursuit of truth and valuing integrity. 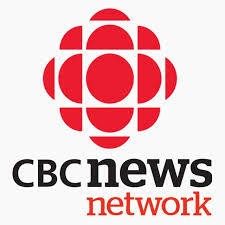 In 2011, five years after the programmes were broadcast, Chandra sued CBC and the journalists for libel and invasion of privacy. His total claim against CBC was $132m. In addition to the retracted study, the CBC program identified ten studies of Chandra’s “that were either fraudulent or highly suspicious,” said Burgess. Nine are published papers, and one is a study on fish oil commissioned by the Newfoundland government. That 1992 paper was the subject of further editorial and external review in 2003. We found no evidence of fraud, fabrication, or falsification of the data published in 1992, so no grounds for retraction. We are not aware of any new information, so there are no plans to further investigate, or to retract the paper. Needless to say, we’re happy with the outcome. We have always maintained that our journalism got the story right and the content was true. Clearly, the jury agreed with us. The documentaries are not currently online, but Burgess told us they may be soon. …we’re thinking of reposting the series. We could not find contact info for Chandra. His website says that he’s currently the President of the Nutritional Immunology & Allergy Center, India, but lists no contact information. We contacted Chandra’s lawyer for comment. We will update if we hear back. Just checking. This was a 58-day jury trial? Anything’s possible, but it seems way out of line for a defamation case. My condolences to the taxpayers of Ontario and Canada, to the jury members, and maybe even to the undefamed Dr. Chandra. This result look like a victory for good scientific journalism, but the prospect of that kind of legal marathon is going to be very discouraging to any defendant other than a taxpayer-funded media outlet. The 1992 Lancet paper, on immunological effects of Chandra’s vitamin-mineral supplement was the first of two reports of the claimed results of the same study, the second, on cognitive effects, which appeared in Nutrition in 2001 and was retracted in 2005. The Lancet editorial staff knew of this retraction, and I believe it was “new information” that should have led to a reconsideration. Also, regarding the 2002 papers in Nutrition Research that claim to report successful replications of the results in the 1992 Lancet paper, the current editor of Nutrition Research, Bruce Watkins, and the publisher, Elsevier, have been aware for some years of the serious questions about those two remarkably similar papers, one by Chandra, the other by Jain, including questions raised about whether Jain exists, but have issued neither a retraction nor an expression of concern. infection in the elderly: Why do the findings conflict?